Several years ago, field research for Damming the Osage took us deep into Kansas as we traced the river’s course and the migration of the Osage tribe westward. My “Trip Notes” for one day recorded that we turned east on K-31 “to search for overgrown iron bridge over the Little Osage River, near Kansas-Missouri state line.” We found it. Right next to the uninteresting, but safer, new concrete bridge that replaced it. 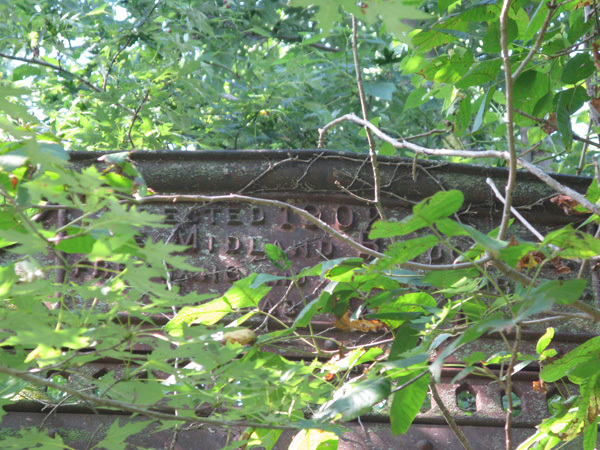 My notes continue: “found bridge which is almost completely obscured by trees, vines, foliage. Took many photos but need to come back in winter.” Lesson learned – best iron bridge visuals are when the leaves are off the trees. 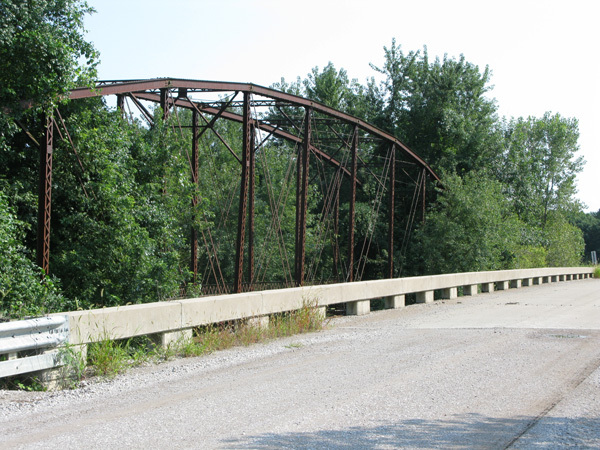 One day, this now-abandoned bridge will grace a park in Fort Scott! 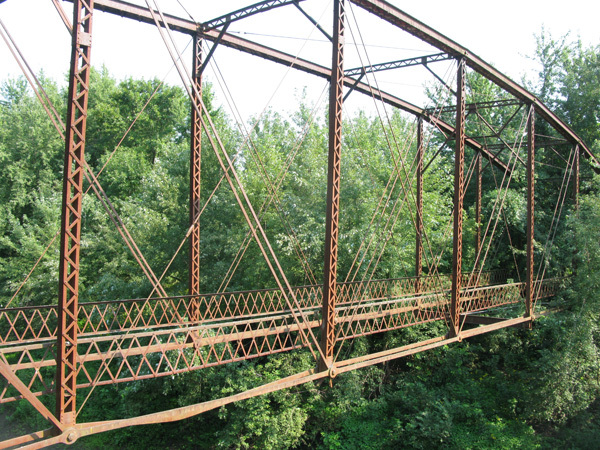 A far better fate than the one that befell the Schell Cty Bridge over the Osage in Missouri – not far from Fort Scott.